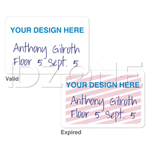 This round translucent colored badge reel with belt clip allows you to scan or swipe your ID card with convenience. 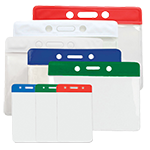 The plastic translucent badge reel is equipped with nearly three feet (864 mm) of cord for easy identification. 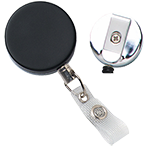 The round badge reel comes with a slide-type belt clip so that the reel may be fastened onto the user's belt loop or other belongings. 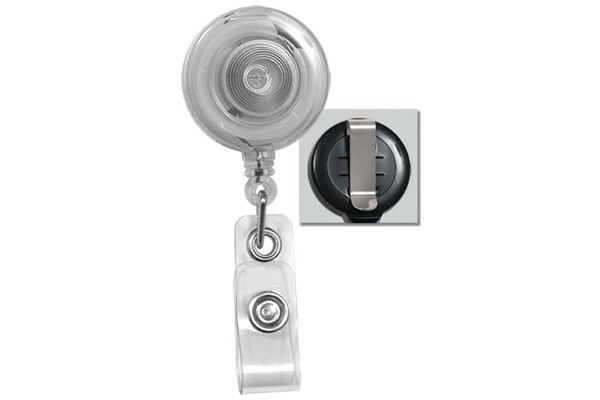 The translucent badge reel is finished with a clear vinyl strap for attachment to slotted contents. Most badge reels are more than dollar each. These sell for less than half the price thanks to ID Superstore's discount. 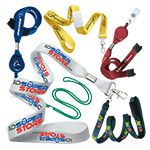 ID Superstore is our "go to" vendor for all things ID. 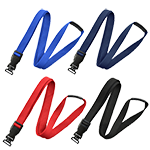 They are very reliable and their products are high quality. Belt clip is tight but everything else is fine. Our order arrived earlier than expected. Thanks! 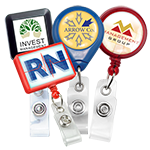 These badge reels look good and are very durable.